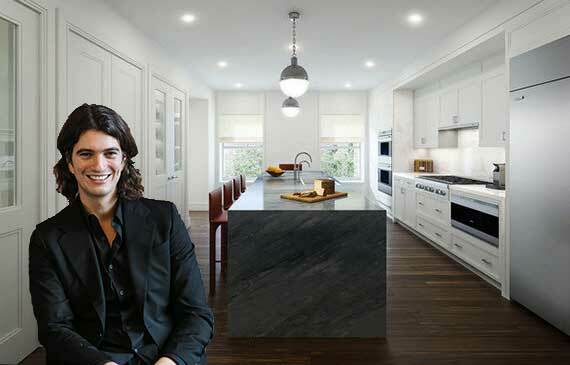 After splashing big bucks on a 60-acre farm in Westchester last week, WeWork co-founder Adam Neumann once again turned to the city — eyeing a $39 million penthouse condominium unit at Daniel Straus’ Whitney Condos. Neumann and his wife, Rebekah Paltrow Neumann, checked out the full-floor, 5,577-square-foot penthouse at 33 East 74th Street on the Upper East Side. The four-bedroom, four-and-a-half bathroom pad also boasts a 2,440-square-foot private wraparound terrace, chef’s kitchen and ample storage space. The Neumanns are on something of a real estate roll of late, recently buying a Linden Farm estate in Pound Ridge in Westchester County in an off-market deal. The estate, which was once asking for $22 million, features an eight-bedroom, 13,700-square-foot main house, a stable, a riding ring, a pool and a tennis court, the New York Post reported. The Whitney Condos is expected to open this spring, and the Post reported six of the 10 units have sold. In 2010, Straus paid $95 million to the Whitney Museum for an assemblage of six brownstones and two townhouses. Douglas Elliman’s Katherine Gauthier and Lauren Muss are the listing brokers. WeWork’s valuation recently jumped 50 percent to $15 billion after Fidelity Investments reported that its shares in the company had appreciated significantly in the fourth quarter of 2015. The collaborative workspace firm is also reportedly planning to enter another round of financing.